It can be very hard to find a California drivers education course that satisfies all of your needs, and is affordable and convenient. There are so many courses out there to choose from and all you are thinking about is when are you going to get your permit. The state of California requires that every new driver complete a certain amount of classroom training before being eligible to get a permit or license. The California Online Drivers Ed course is approved by the state of California to meet all of the same requirements that a classroom course does, but it's so much more enjoyable. This course fulfills the training course requirement for obtaining a driver permit. This Online course satisfies the California DMV 30-hour driver education course requirement. Upon completion, you will receive a DMV completion certificate. This course also includes unlimited DMV practice tests. 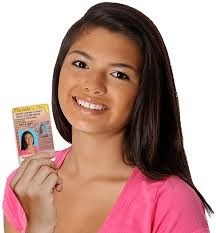 As you approach your Learners Permit there are many important things to learn. Our California drivers ed course can provide you the information you need in a multimedia online course. The course is divided into units that focus in on topics like driver communication, preparing for emergencies, weather and road conditions, basic vehicle maintenance, California rules and regulations, the dangers of driving under the influence, and many more. At the end of each unit there is a 10-question quiz that highlights some of the main points. This can be such a downer because you already spend so much time in a classroom all week long at school, so how can you possibly be expected to want to spend any more time in one. This is why we have designed a California online Drivers Ed course that is all web-based, so you can have the convenience and the affordability all in one place. Everything for this California drivers education course is done online, so all you need is a computer with an internet connection to access it. This allows you to do the California online Drivers Ed course from the comfort of your own home. When you register for this California drivers education course you get to choose a username and password that are linked to your account and this is what you use each time you need to log in to the course. This allows you to log in from any computer and location and still be able to access your course and account. You never have to feel rushed or pressed for time with this California online Drivers Ed course because you can work at your own pace. There is no instructor, so you are the only one who gets to make decisions regarding when, how and for how long you study. After completing all of the course units, each student will need to take an online final exam. This final test consists of 50 multiple-choice questions that are based on the course material. A score of 80% or higher will pass the test and if you need to try again, retakes are free and unlimited! Your Certificate of Completion will be processed and sent out within one business day of the time you pass the final exam. This course has everything you need to get on the fast track to getting your permit and license. Call or log on today and see why so many students have been switching over to the computer.